Community Download: Does The HTC Vive Have A Content Problem? Oh boy easy there fellah. You came in here pretty fired up from that headline, huh? Well here, take a seat and I’ll put that pitchfork in the closet. Don’t worry it will still be there if you need it but for now just here me out. The HTC Vive is a miracle of modern engineering. It’s undoubtedly at the absolute pinnacle of performance for modern virtual reality headsets. The entire industry owes it a debt of gratitude for what it’s pioneered with room-scale and hand tracked controllers. However, for all of its technical prowess it may have an achilles heel: content. 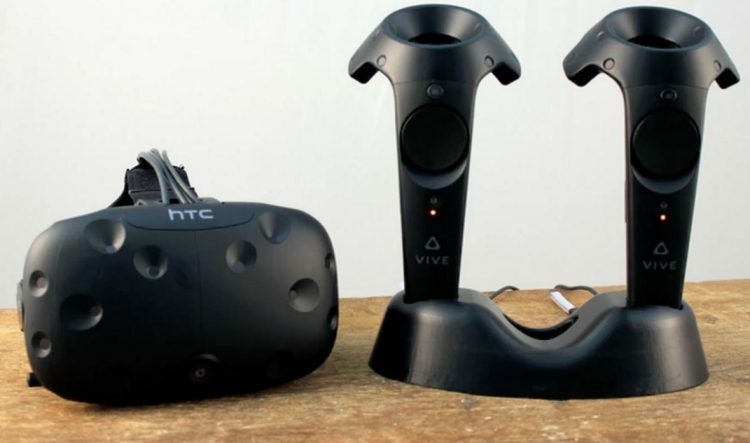 Our question for you dear reader today is this: does the Vive have a content problem? There is a ton of content available through Steam VR for the Vive. However, a good majority of that content is unfinished, early access, and lacking the level of polish that its competitors at Oculus and Sony are providing for their respective platforms. It’s not that there are no high-quality, fully developed titles for the Vive, its just that for every The Gallery: Call of The Starseed or Raw Data there are tech demos that should have never been released and certainly not with a price tag attached. The signal versus noise ratio is at best breaking even on the Vive and that type of distribution philosophy may not pack enough of a punch to motivate the purchase of a $699 headset. One final thing to consider before we let you loose is the promise of future content. Sony and Oculus both either already have, or are actively building, reliable pipelines for producing high quality VR content. Sony has its tried and true ecosystem of first second and third party studios, and Oculus has already provided $250 million of support money to burgeoning gaming companies through its parent company, Facebook. HTC is starting to ramp up a similar system, but its partner company, Valve has yet to enter the arena as vehemently. So now it’s your turn. Let us know in the comments if you think the Vive’s current content lineup and its future prospects are completely fine, or a cause for concern.